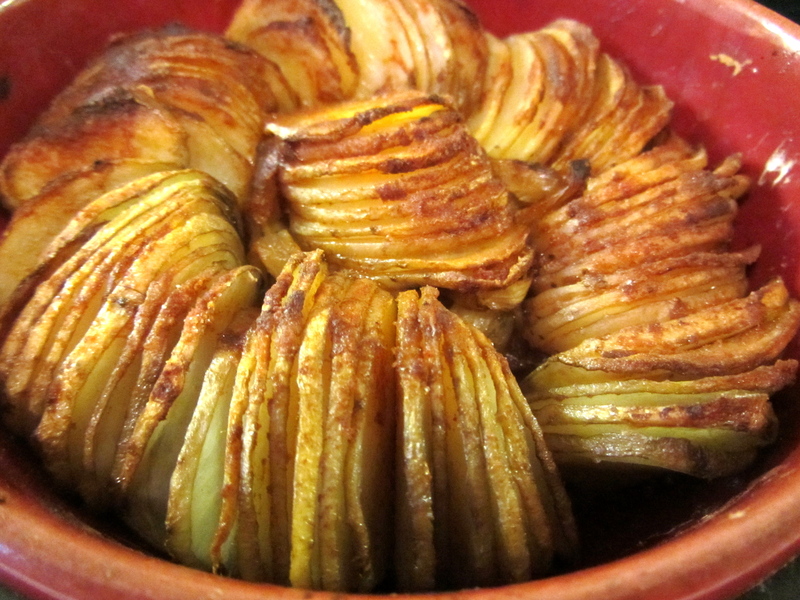 Finely sliced potatoes are closely packed on top of some onions sweated with thyme, and then the potatoes are brushed with a smoky sweet paprika oil, before baking until the tops are crispy. Looks appealing don’t you think? Make sure the slices are snugly fitted into an attractive baking dish for full wow factor. 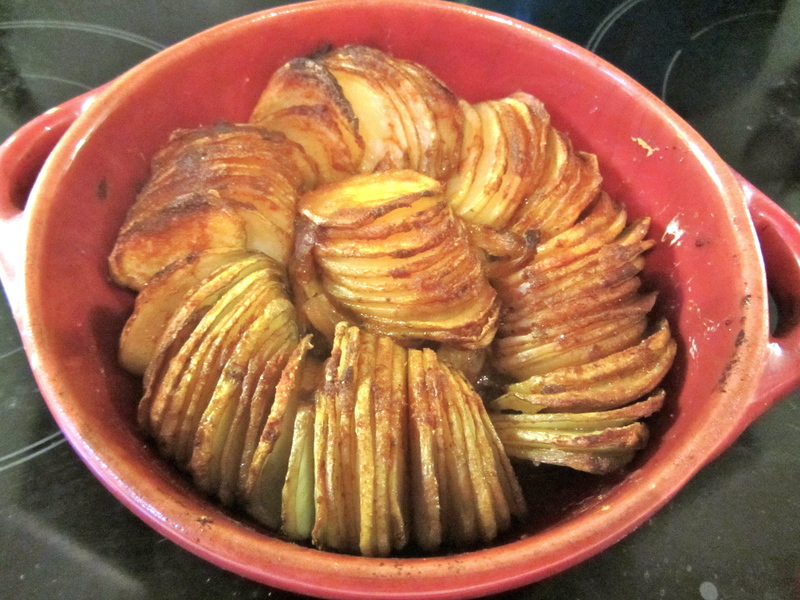 – Bake at 180 degrees centigrade for about 1 hour until the edges are crispy and the potatoes cooked through. – Serve in the baking dish for maximum impact! Definitely making this. I just love smoked paprika, especially with potatoes. Wow that looks incredible! Love the shape! Just made this for Friday supper. So much easier than I thought and looked so beautiful. Made it in a cast iron pot so went stove oven to table, served with a salad with Cos, cucumber, celery, grated beetroot, carrot & toasted walnuts. Very well received by the rest of the household and lovely with a nice bottle of red. I did have a very large, very sharp knife, which I think is the most important thing for making this easily. Thank you!